A woman was turned away by three taxi drivers who refused to take her home after a night out because she only lived a mile away. Agata Cybulska, 23, said she was alone at 05:00 BST on Sunday in Cheltenham when she attempted to get a ride home. But three drivers in the busy city centre Promenade area told her the fare was too short and they did not want to rejoin the taxi queue, she said. She was eventually escorted home by volunteers of the local night patrol. Ms Cybulska said she even offered pay the second driver she approached double the fare, but was still refused. "I've never had that happen before. I was quite shocked that they wouldn't take me," she said. "I just did not feel at that point of the night confident walking home on my own. "Next time I will go somewhere else or pre-call [a private firm]." Street safety group Cheltenham Guardians said: "The lady informed us she was scared on her own and did not want to walk through town. "Thankfully our team became involved in this incident and facilitated transport home for her ourselves. "We would like to remind drivers that they have a duty of care to service users and safety and security can never be compromised." Ms Cybulska said she has been advised to report the incident to the local authority. Louis Krog, licensing team leader at Cheltenham Borough Council, said: "Taxi drivers are not allowed to refuse a fare if the journey starts and ends within the district, irrespective of how short a distance a fare may be. "We would encourage the lady in question to contact us to assist us in identifying the taxi in question to enable us to take the appropriate action. "We expect all our licensed taxis to operate in a way that is compliant with their legal obligation and local policies and byelaws." 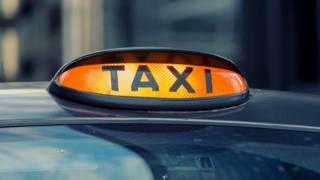 Gary Knight of Cheltenham Hackney Carriage Association said: "The law is the law. A driver cannot refuse a journey based on lack of distance." "We all know that we all have to take our turn at taking jobs that are low-value."